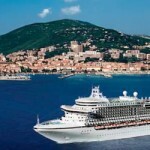 Cruise the Western Mediterranean – is primarily a unique sense of time travel in one trip when you got an amazing opportunity to see the front of the past era. The region combines a visit to the monuments of ancient times, the Middle Ages and the masterpieces of outstanding works of our time. Each day of the cruise brings something different, and the city and the country will open in a new light, even to those travelers who have been there before. In the Western Mediterranean cruises you have been there, where the rest famous actors and musicians, see firsthand the great monuments of architecture: the leaning tower of Pisa, the ancient Pompeii at the foot of Mount Vesuvius, the famous Monte Carlo Casino, and walk along the wide boulevards of Barcelona and Nice, and visit museums of Florence. In addition to sightseeing, you will be able to make his mark on the sandy beaches of Malta and Tunisia, a ride in a gondola on the canals of Venice, in general – to discover an amazing and unique Western Mediterranean! Spain is one huge historical museum in the open air, surrounded by a ring of beautiful coasts and resort areas, many of which are among the best in Europe. Spain stands out among the other countries of Europe. Its position at the crossroads of Europe and Africa, the Christian world and the Islamic world, which is closed and endless Atlantic, the Mediterranean has left an indelible mark on the whole face of the country. There is always room surprise! That’s why Spain – one of the world’s largest centers of tourism and recreation. What attracts tourists Spain? Basically, ancient cities and sunny beaches. But this is not all that is worth to visit this amazing country. Malta (from Phoenician “Maleta” – “safe haven” or Roman “chalk” – “honey”) is a unique symbiosis of clear sea, ancient history, beautiful landscapes, tranquil bays, steep cliffs and historical mysteries. The entire island of Malta resembles one huge open-air museum. The north-eastern coast of Malta is a huge conglomerate of twenty cities and many small towns. At the same time, the south-west and west almost unpopulated, and the southern coastline of steep rock rises continuous barrier over the waters of the Mediterranean Sea, and almost lifeless. Valletta – one of the most beautiful cities of the Mediterranean, it is one of the few in Europe, medieval walled cities. Grand Master of the Order of St. John, Jean Parisot de la Valette started building this fortress in 1566 as a political, economic and cultural center of the order. The town is unique, there is almost on every corner waiting for the visitor interesting cultural and historical attractions. The complex of medieval buildings and defensive structures of most of the modern city, many of which have been used successfully to this day, but as a variety of cultural and recreational activities. Magnificent views of the old quarter and the “Great Harbour” opens with a viewing platform at heights Upper Barrakka Gardens. The climate in Malta is Mediterranean, with warm summers (June to September, about 23 C) and mild, relatively “wet” winter (+14-16 C). Precipitation is about 530-570 mm. a year, mostly in the winter. But even in winter prevails clear and sunny weather. In late summer, with the African continent often come hot and dusty winds “Sirocco”, the greater part of a year dominated by the north-western “Mistral” and warm sea breeze. Humidity most of the year is quite high. Morocco – a unique country. Located at the junction of the Islamic and European cultures, inhabited by the ancient Arab and Berber tribes, which lies on the border of the largest desert in the world and the most green of the mountains of Africa, this rather small area boasts a wide variety of attractions. Marvelous beaches of the Atlantic coast and the rocky cliffs of the Mediterranean coast, the snow of the High Atlas in the cedar forests and evergreen oak forests, picturesque canyons of the mountain rivers, numerous monuments of culture, ancient traditions of indigenous peoples, as well as excellent souvenirs of local artists – all this attracts a lot of Morocco tourists. On the Mediterranean coast, the climate is mild, subtropical climate, the average temperature in summer is about +24-28 C (sometimes up to +30-35 C) and winter +10-12 C. Further south, the climate becomes more continental with hot (up to + 37 C) in the summer and cool (to + 5 C) in winter. And in the winter and summer diurnal temperature can reach 20 degrees. In the north-western part of the country strongly affected by air masses from the Atlantic Ocean – the climate is cooler, and the diurnal temperature variations are much lower than in the rest of the country.